Dronechoir combines unfamiliar collaborators with an unrehearsed performance that continuously reshapes itself through space-specific movement directions, physically foregrounding specific singers at different points in the carefully-composed piece, bringing depth to the listener’s experience by challenging comfort barriers and introducing a heightened sense of engagement with the performance. Arone Dyer has presented over 10 Dronechoir performances since 2015, from Hudson, NY, to Berlin, Germany, with anywhere from 4 to 24 vocalists, and most recently presented a successful collaboration with poet Mahogany L. Browne for Ecstatic Music Festival in NYC. Lou Tides is the solo project of performer/multi-instrumentalist/producer, Teeny Lieberson. It is an exploration in shape, dark textures and long forms. Moving away from the brighter palette of her band, TEEN. Lou Tides is also a movement-based project, focusing on movement as communication in addition to sound and story. 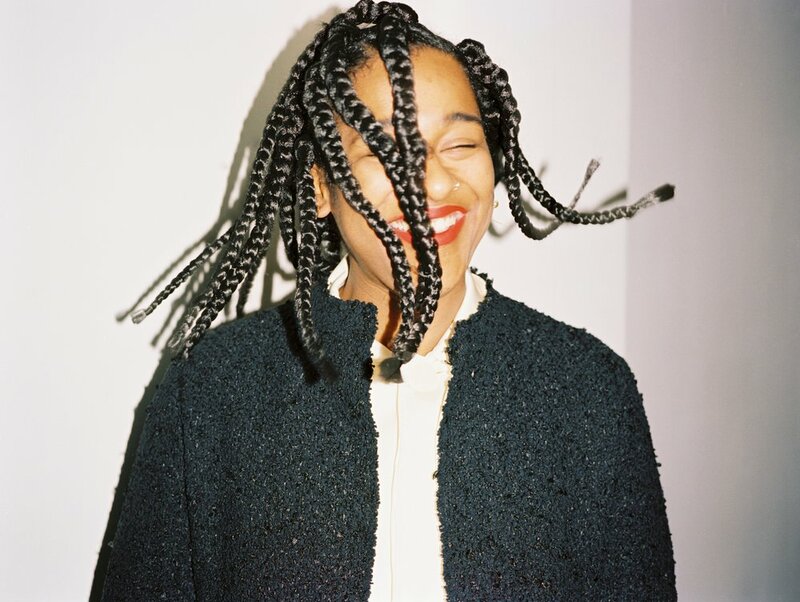 Lou Tides has been touring on and off for the past year with her collaborator Showtime Goma, and the duo toured with of Montreal in September of 2018. Ziemba's multisensory performances offer an alchemy that is both alien and familiar. The Brooklyn-based composer, perfumer, geographer, and vocalist builds oozy architectures using fragrance, sound, costume, and the sincerest of theatrics. She recently founded Ardis Multiverse, a sonic fragrance imprint and artists alliance, and has spent the past year touring nationally and internationally in support of her debut album, "Hope is Never." In the fall of 2017, Ziemba presented original sonic fragrance work at MoMA Ps1 and National Sawdust, and released music video "El Paso" which doubled as an underground history of the U.S./Mexico border, accompanied by an op-ed on Teen Vogue about women-led resistance on the border. She is currently immersed in “ARDIS," her forthcoming album, a feminist sci-fi fragrant musical & wholly consuming parallel universe. 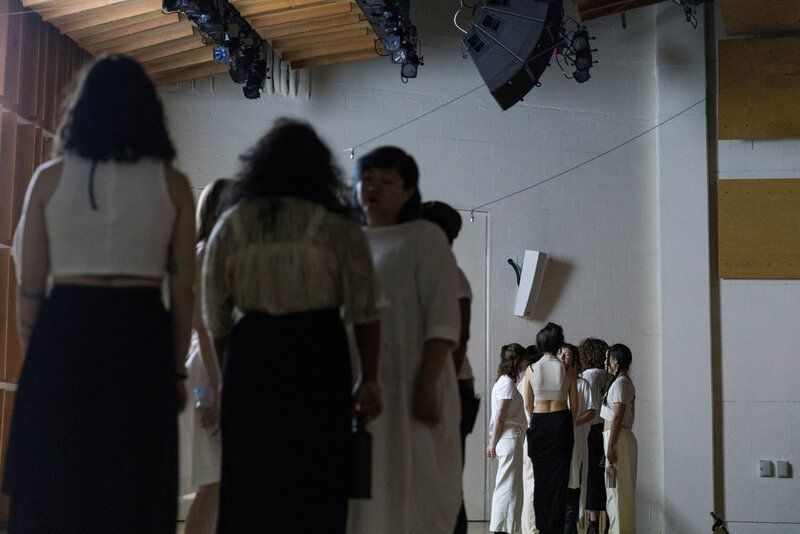 La Mama, MoMA Ps1, National Sawdust, Fourth Arts Block/ Creative Time, Superchief Gallery, CUE Art Foundation, Momenta Art, Queens Museum, Trans Pecos, and more. She has toured nationally and internationally at arts and music venues, and has held artist residencies with the French Institute in Fez, Morocco, and Guerilla Scienceʼs Fire Organ. She has written original scores for NYC dance companies, soundtracked Comedy Central's Broad City, offered costume design and creative direction services to fellow artists in Brooklyn's DIY scene, and currently leads an experimental vocal group named XHOIR with fellow artists Colin Self and Caitlin Baucom. New York City based musician Marilu Donovan specializes in performing and recording new works for the harp. Originally from Houston, Texas, Marilu holds a Bachelor of Music from the Glenn Gould School of the Royal Conservatory of Music in Toronto, and an MFA from the California Institute of the Arts. She has worked closely with numerous artists in the realization of their works, including Azealia Banks, Joshua Carro, Angel Deradoorian, Alexandra Drewchin, Michael Jon Fink, Whitney George, Gabrielle Herbst, Michael Pisaro, Christina Vantzou, and Christian Wolff. Current projects include: LEYA (with Adam Markiewicz), Eartheater, GABI, Duo with Tristan Kasten-Krause. Elizabeth LoPiccolo is photographer, musician, and singer living in Brooklyn. She is in constant collaboration with her partner Rhys Ziemba, performing as Luscious Skin and Ziemba LoPiccolo. 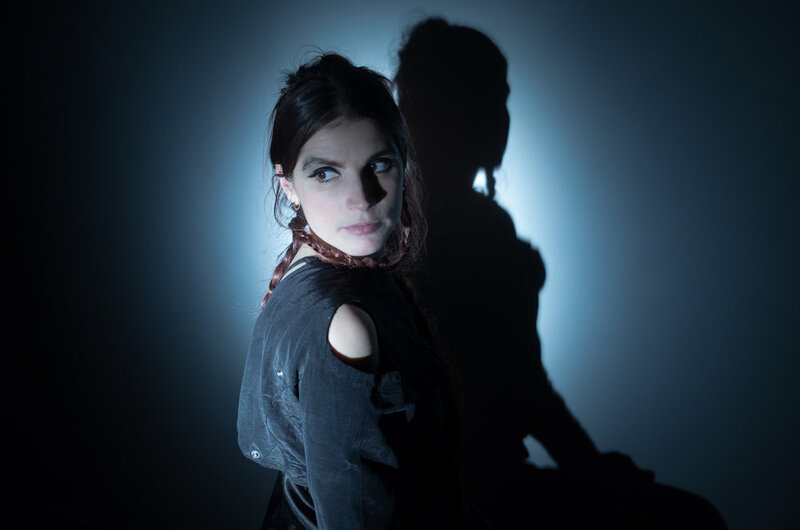 In addition to performing with René Kladzyk in her coincidentally named project, Ziemba, Elizabeth is a member of Xhoir and a contributor to the projects of Morgan Bassichis in whose piece, More Protest Songs!, she will complete a three night run this April at Saint Mark's Church. Mara Mayer went to the Eastman School of Music where she earned her degree in clarinet performance. She now resides in Brooklyn, NY, where she is happy to learn more about different forms of music every day. Mara’s musical life is rich in bass clarinet, Balinese Gamelan, and performance art. She teaches private clarinet and bass clarinet lessons and curates a series of new and experimental music called Home Audio.